← Spirograph Cookies! Eat ’em if you dare. 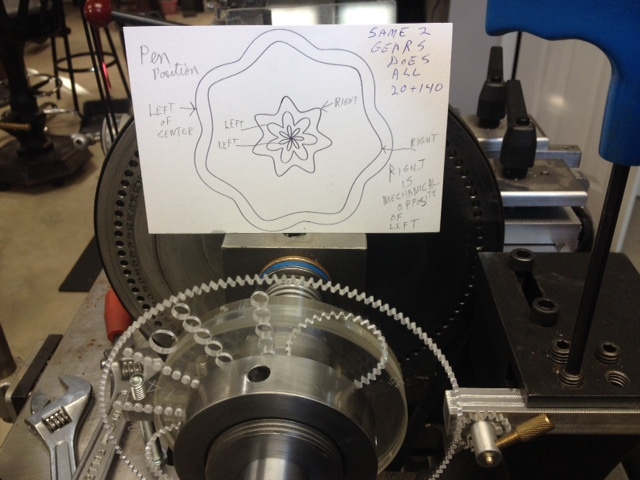 Aaron Bleackley, creator of Wild Gears, programmed a 1.000-inch hole in the middle of some of the Wild Gears so that they mount on Steve’s machine, and he’s starting to experiment with them. 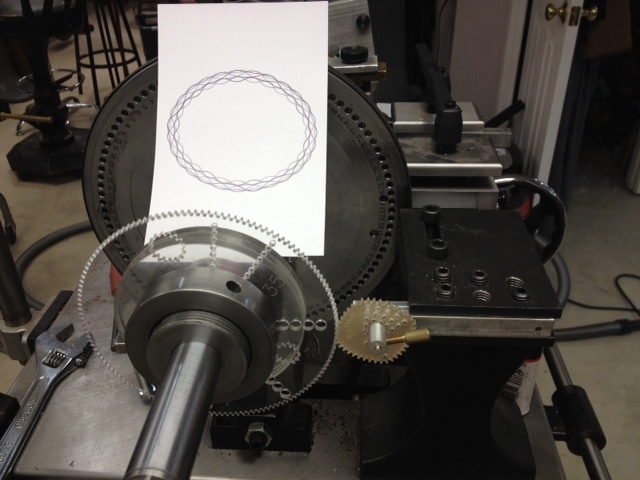 This photo shows a small square Wild Gear mounted with a large wheel with 135 teeth to produce the pattern shown. 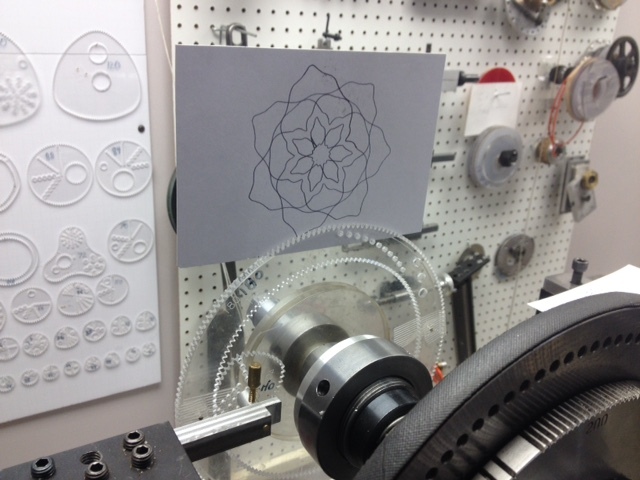 Showing his setup for previewing the pattern on paper to be drawn by the lathe. A day later, he had found a way to run the gears on the inside. One more day and he had produced this design cut in plexiglass. We’ve had a bit of discussion about Steve White’s Rose Engine in the comments on this page, but it would be better to have them continue here in the comments below. You can ask him questions about it and hopefully he’ll reply – and you can also leave comments on his YouTube channel under the videos. Steve White lives in St. Louis MO, if anyone lives close and wants to collaborate or explore. 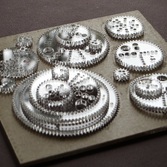 My idea is to find cool designs from my Wild gears and Spirograph gears. 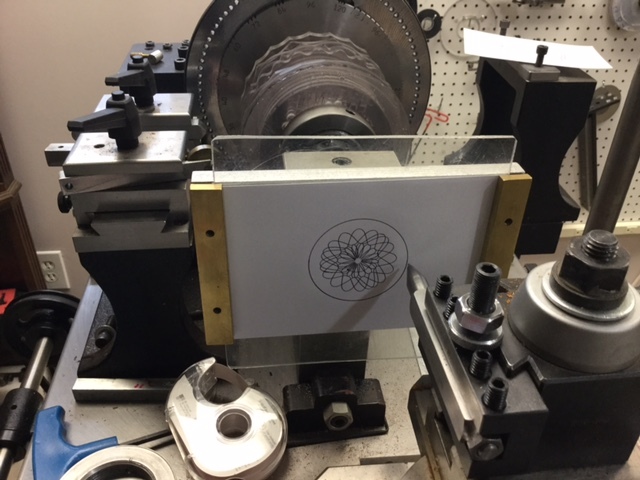 When a sweet pattern is found I remove my paper chuck and pen and replace them with a fine tipped cutter (that revolves 10,000 rpm). And a pic of ,wood, plexiglass or soft metal like aluminum or silver. I can then cut the pattern into the material. 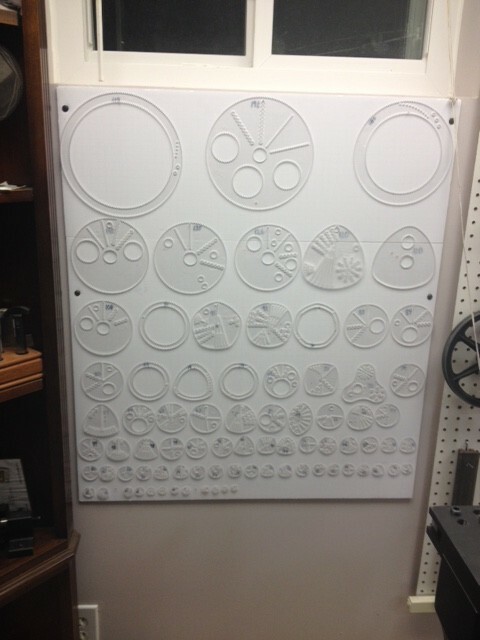 I also need to find a math chart with Prime numbers so I can marry two gears that work well together. Any help would be appreciated. 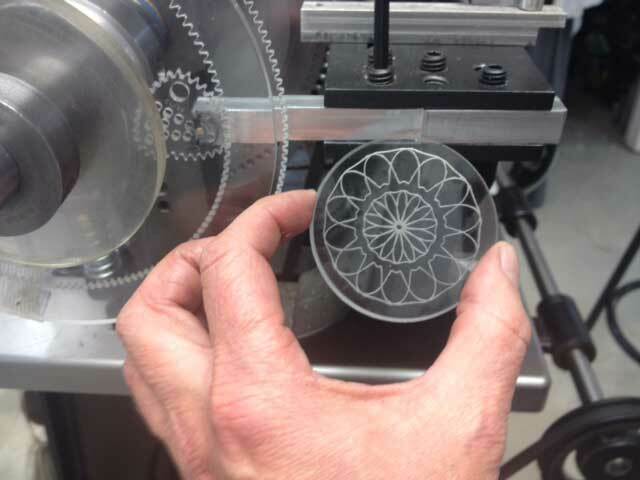 The best thing about Plexyglass is one can see the design from both side. 3 inch colored plex makes for a nice Christmas ornament. 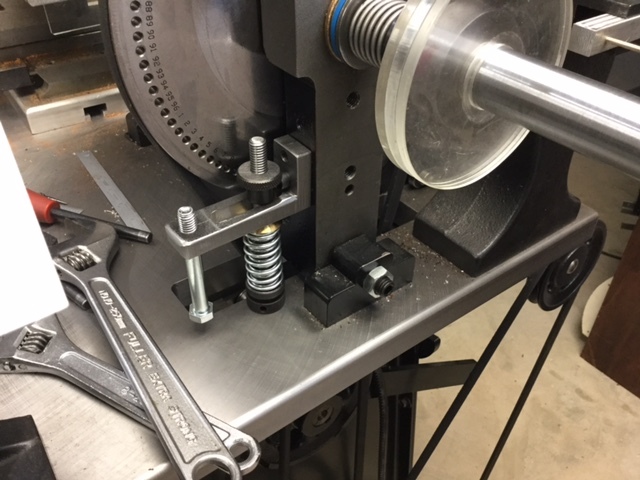 software controlling mechanics is the way to go, think out of the box, no lathe no mill no cnc, you must think of an entirely new way and create an entirely new way of doing this work.